Teach your kids table etiquette at a young age, and they’ll grow into well-mannered, fine-dining experts. The same theory holds true with other skill development areas, including financial health. 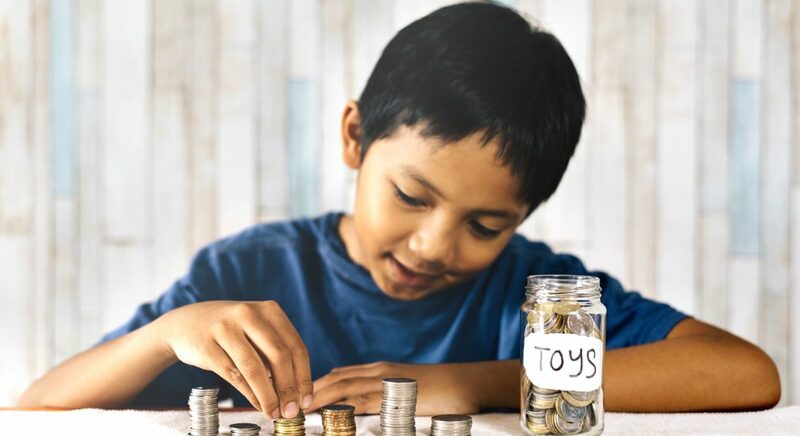 Teaching a child to save and spend their money responsibly from a young age can provide the foundation they’ll need to better cope with the financial pressures of adulthood later. Plus, understanding the dollars and cents required to purchase that hot new toy or gaming system will help them understand value and appreciate what they have. A youth savings account is the perfect place to begin. These kid-friendly accounts are easy to manage and can be the gateway to delivering important saving and budgeting lessons that your children will carry with them forever. Like adult accounts, not every youth account is created equal. Below are features and benefits that may help you determine the best option for the youth in your life. The small deposits kids are likely to contribute mean that even minimal fees can take a bite out of your child’s account balance. Same as you would for yourself, avoid any accounts with overbearing fees or minimum balance requirements. In fact, as you shop around and investigate your options, include your child in the conversation and take the opportunity to deliver a lesson on the impact of account fees and how to avoid them. You’ll find plenty of youth account options to consider. Selecting a financial institution with physical locations that are local and easily accessible provides experiential benefits and help kids better understand what happens to their money inside a credit union or bank. The ability to physically deposit their cash allows them to ask questions and speak with banking professionals about what happens next. This is an experience they cannot have online. Selecting an account with a higher interest rate just makes sense. With youth accounts especially, it’s important to see progress. The higher the interest rate, the more opportunity there is for your child to watch their money grow. This provides the motivation they need to save, earn, and spend responsibly. Look for features and benefits above and beyond those you get with a standard savings account. Youth accounts that include educational opportunities, such as budgeting and savings seminars for teens or fun games and child-friendly articles for the younger kids, help keep them engaged in the process and learning more. The earlier a child begins to learn the value of saving and budgeting, the more likely they are to enjoy improved financial health as an adult. Let kids make the financial blunders now to avoid a costly financial faux pas later. Like any sport or hobby, building a foundational skill early in life can decrease the learning curve later. You focus on their health and protect them from harm every day. Guiding them to financial success is just one more way you can point them in the right direction. Click here to learn more about Member One’s youth accounts and get your kids started on the path to financial success.